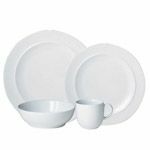 Denby tableware is exceptionally versatile and durable, and safe for use in the dishwasher, oven, microwave and freezer, giving years of continual use. 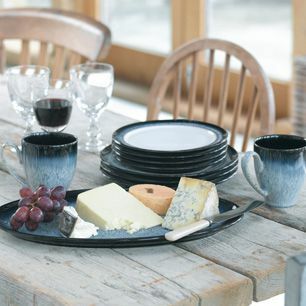 Denby has manufactured their dinnerware with the highest standards of English craftsmanship for nearly 200 years. 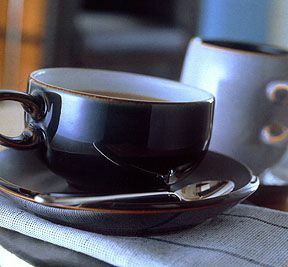 Their distinctive shapes and rich colors combine to create a unique look. 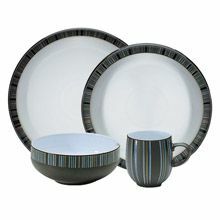 Have questions about Denby or don't see the pattern you are looking for? 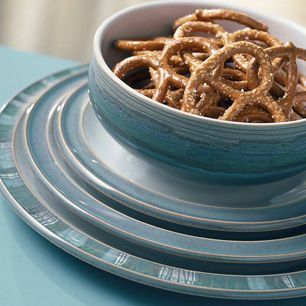 Call our helpful sales staff for assistance with your Denby pattern at 1-800-426-3057. 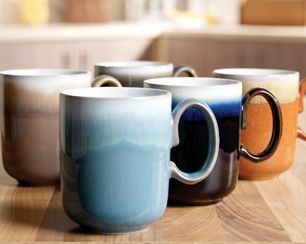 Denby's history begins in 1806, when a seam of clay was found at Denby during the construction of a road to link the industrial towns of Derbyshire. William Bourne, a local entrepreneur, examined the clay and recognized its exceptional qualities. 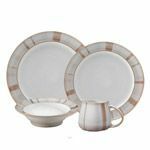 Production of salt-glazed pottery was started at Denby in 1809 and William gave the onerous task of running the business to his youngest son, Joseph. Known as 'Joseph Bourne' the pottery prospered and soon built up an international reputation for its quality bottles and jars. These bottles held anything from ink, polish and medicines to preserves and even ginger beer. Times were changing and in the late 1800's glass bottles became less expensive and replaced ceramic containers. 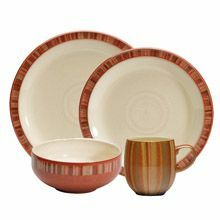 Denby Pottery diversified by extending its kitchenware range and developed richly colored glazes which were to become Denby's trade mark. By the 1920's Denby's functional kitchenware (from pie dishes, jelly molds and colanders to 'hot water bottles') could be found in many homes along with decorative vases, bowls and tobacco jars which were all stamped 'Danesby Ware'. 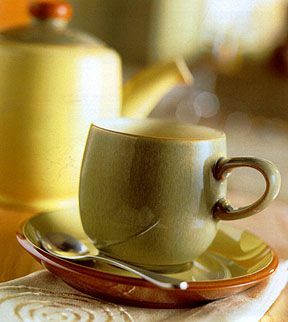 This was the generic name given by Denby Pottery to all its decorative and giftware ranges. 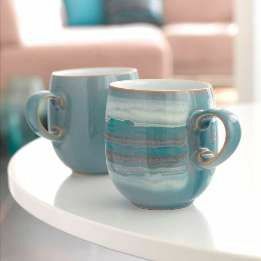 In the 1930's 'Electric Blue' (shiny blue) and 'Orient ware' (matte blue/brown) became classic giftware ranges and today are popular with collectors. 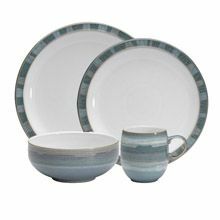 Kitchenware became more colorful with Cottage Blue, Manor Green and Homestead Brown - all of which remained popular until the early 1980's. 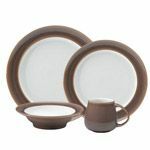 Radical steps to change Denby's product range were taken in the 1950's when the pottery became predominantly a producer of tableware (ranges now included cups, saucers and plates). 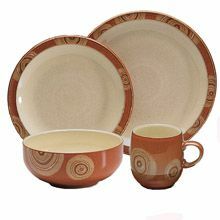 Denby continued to employ the best designers to ensure the transition was successful and this expertise produced such best sellers as Greenwheat (1956), Echo and Ode (1950's), Studio (1961) and Arabesque (Samarkand in the USA - 1964). 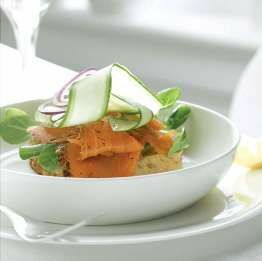 The 1970's brought a revolution in 'oven-to-tableware' - Denby's striking designs and practicality alleviated the need for separate cooking dishes and more decorative plates for serving. Denby could withstand oven temperatures and Gypsy (1971), Troubadour (1971), Cotswold (1973) and Romany (1970's) all graced the 1970's table with flair.